The paperless offce was a dream that never quite came to fruition. Sure, people had the ability to scan documents into digital formats, but invariably when they really needed to access them, they'd print them out, setting everything back to square one. It's not just about digitizing your information, you've got to have a way of organizing it! That's exactly what today's discount software promotion gets right - it's Paperless! 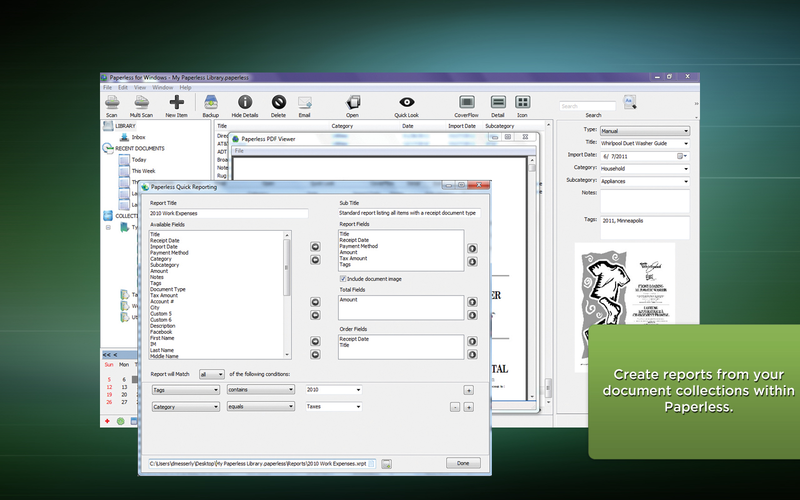 Using the technology behind OCR, Paperless lets you scan and organize any type of paper document. You can then organize your paper, make notes, and assign categories. With Paperless, all of your paper receipts, bills, statements, warranty cards, business cards - anything, really - gets scanned into digital format, leaving your desk and office nice and tidy. When it's time to work with those documents, just search by category and have everything at your fingertips, skipping that part where you turn your entire office upside down looking for that one critical piece of paper. With Paperless, anything you scan gives you a collection of useful documents instead of stacks and stacks of images. The difference in the results is measurable - instead of printing digital documents out in hardcopy, you'll be able to interact with them - from emailing a document to creating multiple document libraries - for either business or personal use and thus achieving a level of organization that's unprecedented. And one day, you'll look up and realize that you have achieved a paperless office! With Paperless! Digital documents are accepted by the IRS! After you purchase Paperless it may be used indefinitely. Paperless is licensed per user, so if more people are going to use Paperless you will need to purchase additional copies. 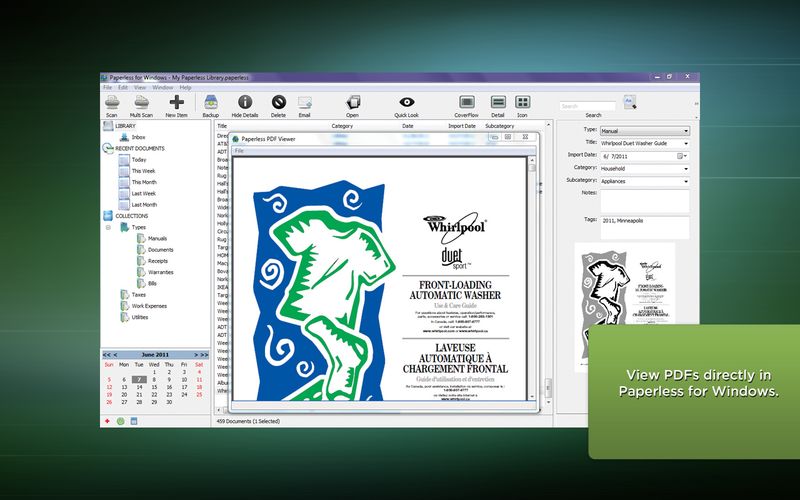 When you initiate a scan with a TWAIN or WIA scanner in Paperless, Paperless hands the task off to the TWIAN/WIA scanning system and simply waits for a response. 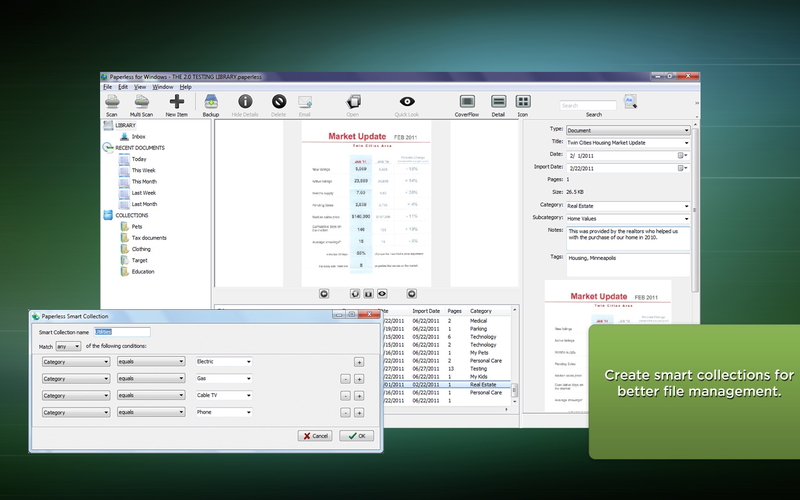 Once you get the Canon scanner interface, there is no Paperless code involved at all - Paperless is effectively sitting in the background waiting for a response from the scanning system. So, the Preview and Scan buttons in that scanning window - that isn't Paperless, and Paperless doesn't have any control over that window. I'm not sure why you haven't had any luck - I will consult Development on more info. 1.) CoverFlow is a Mac OS feature. 3.) 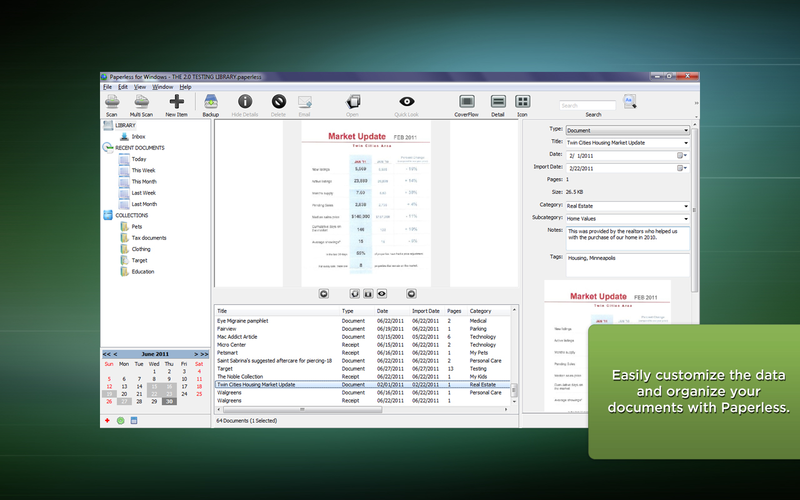 What PDF viewer are you using? 4.) No you are not. You are effectively using the same original document. A Bridg Mariner Software - my Canon software is ScanGear. When I run ScanGear itself under Twain it works perfectly. When I either Preview the scan or initiate a proper scan it does the action it is supposed to. Under Paperless it will do a preview but the Scan button will not work even though it blinks as having been selected.